July 29, 2015 by John P.
Well folks, today is the big day for Windows users. 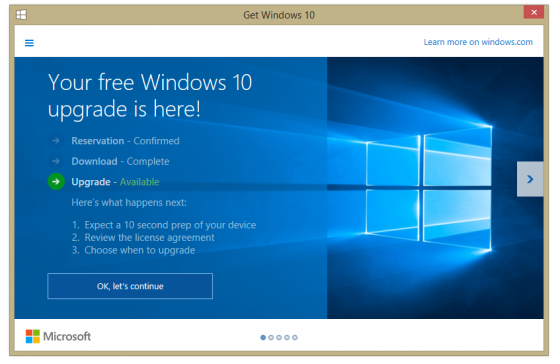 The free upgrade to Windows 10 is now available. And if you’re wanting to upgrade your system, you can look down in the system tray for the little windows 10 icon and select it to follow the prompts through to the upgrade. However, if you’re like me and you got sick of seeing that little upgrade icon – so you took steps to radically remove it, there are other ways to go about getting your update. 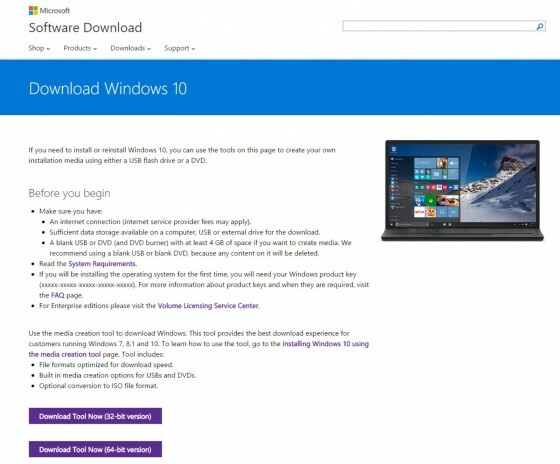 And if all else fails, never fear – Microsoft has made the Windows 10 download available as an ISO file that you can load onto an external drive and upgrade as many systems as you like. Note: You will have to log into a Microsoft account to access the page. When you start the process Windows will walk you through a few steps, and then you’ll be magically running the long awaited update that promises a better world, cleaner burning fuel, and calorie free deserts. Enjoy! For those that don’t want to create installation media to perform the upgrade, you don’t have to. Follow the steps above but download the application to the PC you want to upgrade. It will give you the option to do an in place upgrade or download the installation files to USB or DVD.